Natural Health News — The Environmental Protection Agency has approved nearly 100 pesticide products over the past six years that contain mixtures that make them more poisonous and increase the dangers to imperiled pollinators and rare plants. According to an investigation by the Center for Biological Diversity, these “synergistic” combinations have been widely overlooked by the EPA in its approval of pesticides for food, lawns and other uses. The Center’s new report, Toxic Concoctions: How the EPA Ignores the Dangers of Pesticide Cocktails, involved an intensive search of patent applications for pesticide products containing two or more active ingredients recently approved by the EPA for four major agrochemical companies: Bayer, Dow, Monsanto and Syngenta. 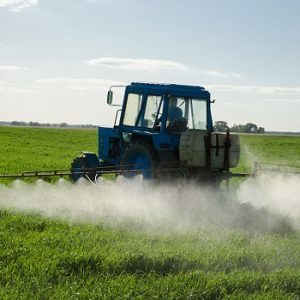 » The US environmental protection agency has approved nearly 100 pesticide products over the past six years that contain ‘synergistic’ mixtures of chemicals that make them more poisonous to people, plants and insects. » Information on safety presented to regulatory officials by large chemical companies often downplays the effect of synergy. However patent applications do include this information because they must prove how the product works. » The EPA recently used information from patent application to try and withdraw it’s approval of a pesticide product called Enlist Duo. » The request was denied but, say campaigners, patent applications – which are public record – are a useful, if overlooked, source of toxicity information. 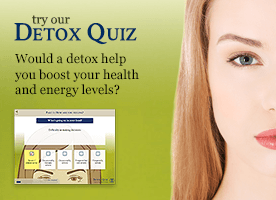 Synergy occurs when two or more chemicals interact to enhance their toxic effects. It can turn what would normally be considered a safe level of exposure into one that results in considerable harm. Pesticide mixtures are ubiquitous in the environment and also present in many products for sale on store shelves. In late 2015, in preparing to defend itself against litigation on the registration of a pesticide product called Enlist Duo, the EPA discovered a new source of information on the product: the US Patent and Trademark Office Database, which contained a patent application indicating the two ingredients in this product, glyphosate and 2,4-D, resulted in synergistic toxicity to plants. This discovery ultimately led the agency to ask the 9th Circuit Court of Appeals to vacate its approval of Enlist Duo because it had not properly considered the potential adverse effects of this synergy on nontarget plants. It also highlighted a previously unknown source of much-needed mixture toxicity data: patent applications. For this latest analysis, a Center scientist analysed the patent database for other pesticide products approved in a similar manner. 72% of the identified patent applications that claimed or demonstrated synergy involved some of the most highly used pesticides in the United States, including glyphosate, atrazine, 2,4-D, dicamba and the neonicotinoids thiamethoxam, imidacloprid and clothianidin, among others. The EPA can only approve a pesticide if it will not cause unreasonable adverse effects on the environment. When a chemical company develops a new product, in addition to seeking approval for that product from the EPA, it will often apply for patent protection on the mixture. Such an application is typically accompanied by data that demonstrate synergistic toxicity to the organisms that are going to be targeted by the chemicals. The EPA frequently claims it cannot evaluate potential synergistic impacts because it lacks data. But this report finds that the patent database contains substantial data on synergistic effects that can be used to fill some of the data gaps that exist on mixture toxicity to plants and animals. The fact that the EPA claims it just recently became aware of this data source indicates that pesticide companies are collecting information about the synergistic effects of products for submission to the US Patent and Trademark office that they are choosing not to share with the EPA.